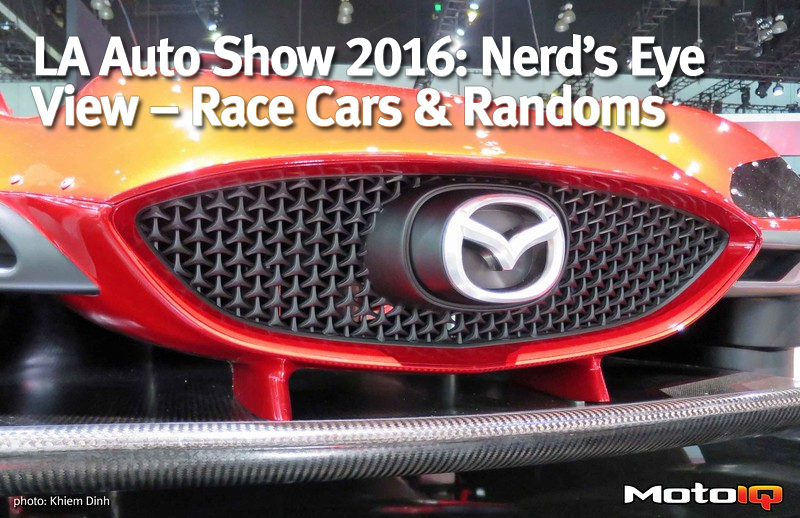 There are always a handful of race cars at the LA Auto Show. The old saying goes, “race on Sunday, sell on Monday.” Motorsports are a place for auto manufacturers to test their technology too. 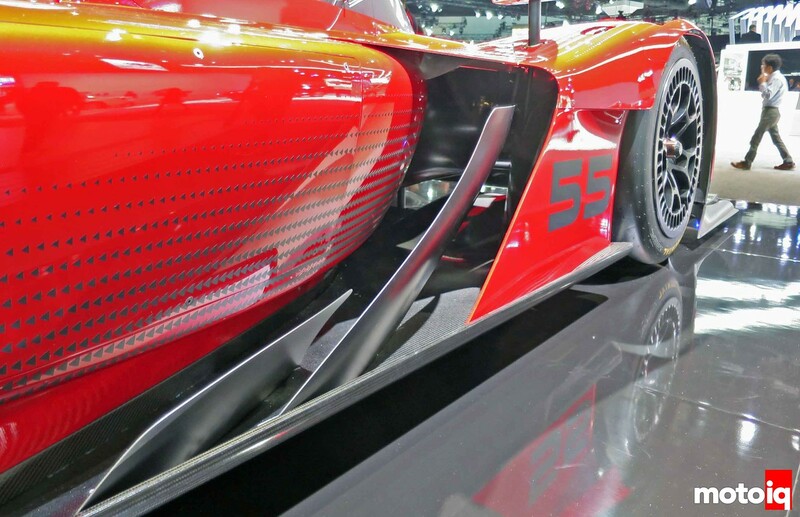 If the technology holds up on the race track, the technology should work on the street, right? There were a couple other race vehicles there along with some other random things I thought were cool. 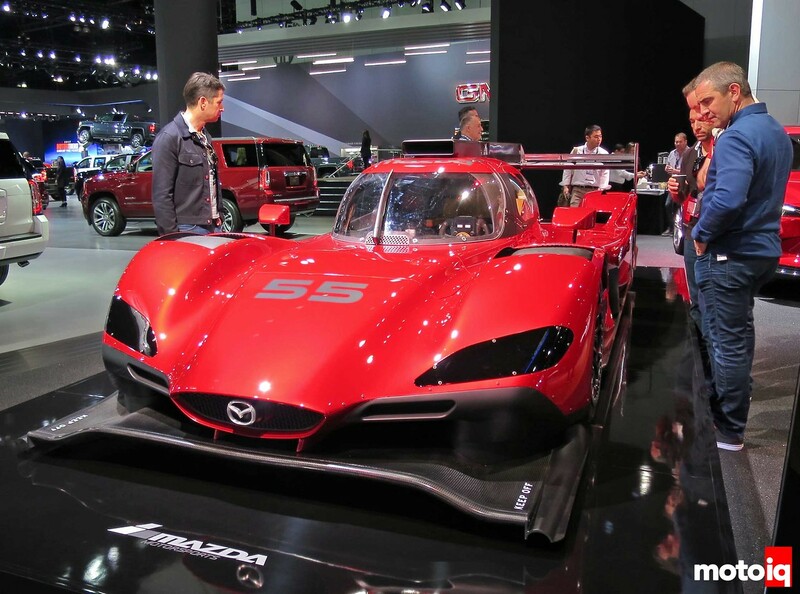 Mazda had its brand new prototype on display, and I think it’s a looker. To my untrained eyes, it seems to share some of the same design language as Mazda’s street cars. Looking under the front of the car, there’s what appears to be a keel similar to Formula 1 cars. 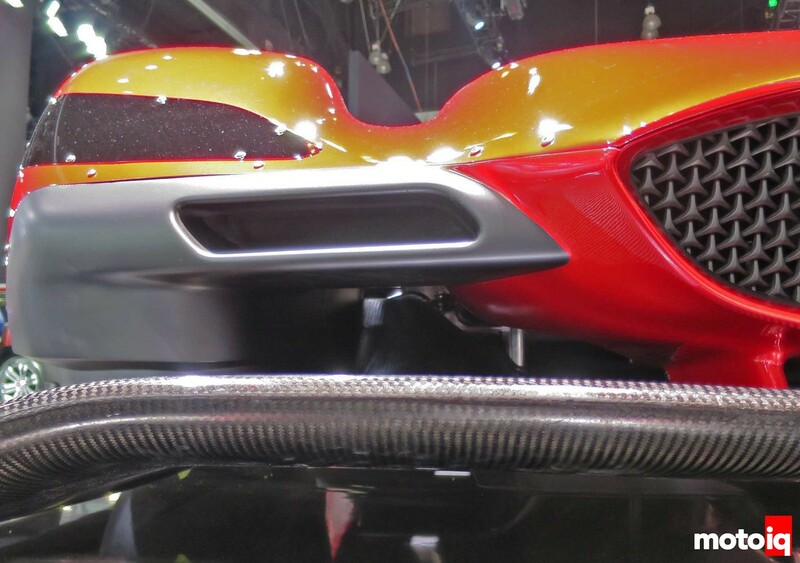 The airflow path around the front tire can be seen here. 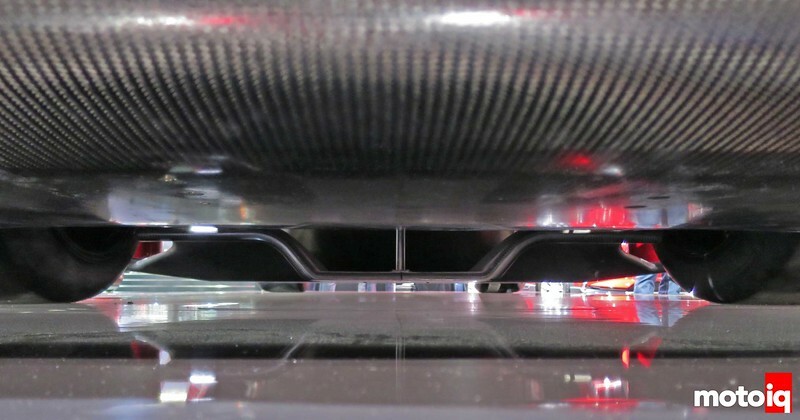 These barge boards, whatever you want to call them, help direct the air flowing through this channel from the front and underneath the car.